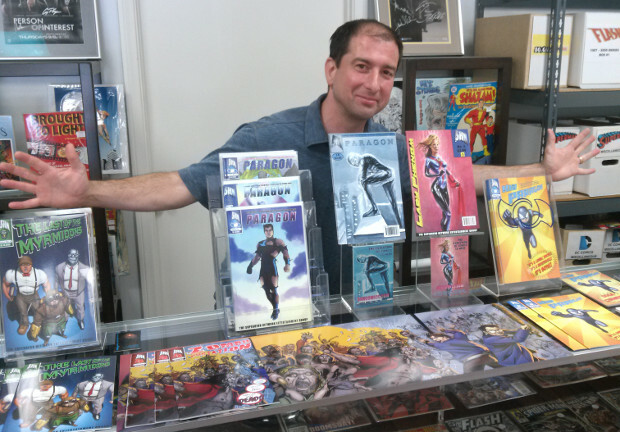 …for coming to Sterling Silver Comics to promote his great line of comics, including the brand new Zombie Affectation ! You can read more about his comics at the Superhero Network! We still have a limited number of signed copies of Paul’s books available at the shop, so drop on by when you can! This entry was posted in Comics on May 21, 2015 by Mike.